Azari Yam, A., Mohammadi Torbati, P. (2011). Analytical Performance and Quality Control of a Glucose Monitor System. Iranian Journal of Pathology, 6(1), 13-19. Aileen Azari Yam; Peyman Mohammadi Torbati. "Analytical Performance and Quality Control of a Glucose Monitor System". 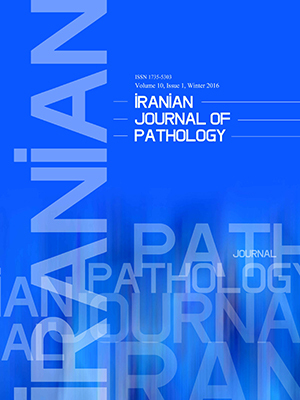 Iranian Journal of Pathology, 6, 1, 2011, 13-19. Azari Yam, A., Mohammadi Torbati, P. (2011). 'Analytical Performance and Quality Control of a Glucose Monitor System', Iranian Journal of Pathology, 6(1), pp. 13-19. Azari Yam, A., Mohammadi Torbati, P. Analytical Performance and Quality Control of a Glucose Monitor System. Iranian Journal of Pathology, 2011; 6(1): 13-19. Background and Objective: The reliability and validity of monitors for self-monitoring of blood glucose are debated. We evaluated the analytical performance of Accu-check Active (Boehringer Mannheim, Roche) which is one of the most commonly used monitors in Iran. Material and Methods: We compared the monitor readings with the reference values by percentage of values within certain intervals of the reference method, regression analysis, and difference plot. We used operational process specification charts to determine the probability that different QC rules would detect an analytical error. In addition, we assessed the quality on the sigma scale. Results: This meter met International Organization for Standardization’s criteria but not the American Diabetes Association’s stringent criteria. The monitor produced precise readings throughout the concentration range and results correlated closely with the reference method. The measured total error was 6.39% (less than allowable total error of 10%). The method reached 6 sigma at glucose levels of 6.66 and 18.87 mmol/L and a sigma of 3 to 4 at glucose level of 2.49. Repeatability and intermediate precision were acceptable. Discussion: We concluded that the overall performance of this instrument is reasonable but in hypoglycemic range, multiple control rules and control materials are required to assure the desired quality is achieved.